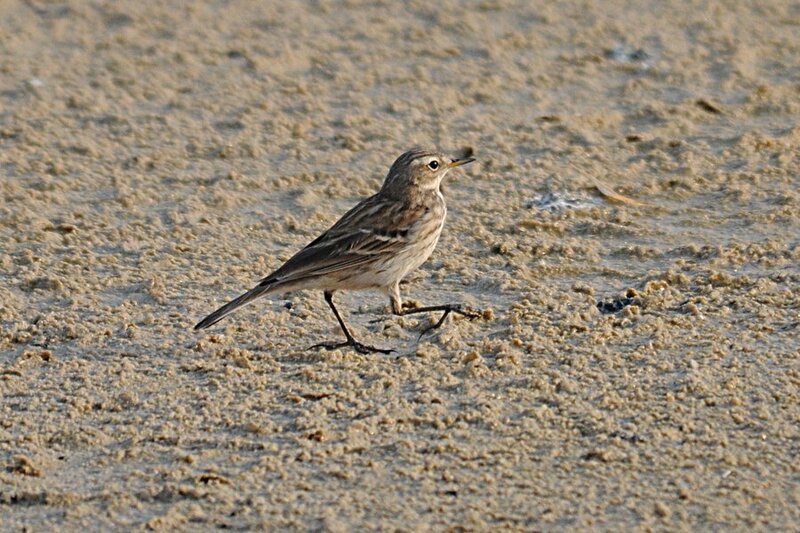 Another weekend trip to Sabkhat Al Fasl resulted in a few good birds. Just after first light we saw a nice Citrine wagtail (see previous post) and just before that a fine male Siberian Stonechat. Four Greater Spotted Eagles were seen including three 2nd calendar year birds and an adult that was seen at reasonably close range perched on a post. As always the birds did not allow close approach for photography. 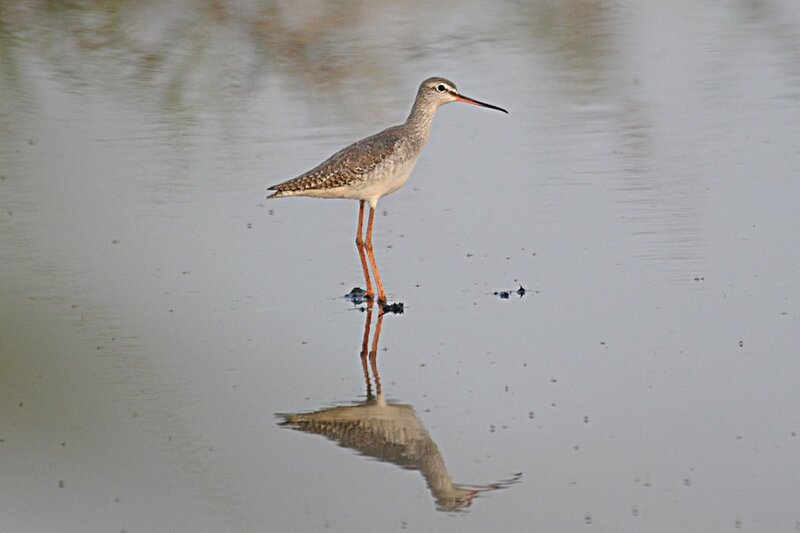 The next bird we saw was a Spotted Redshank, which is not such a common bird in the Eastern Province of Saudi Arabia, but is occasionally seen. A few Daurian Shirkes were using the reed stems as lookout perches to catch insects from and a single Mauryan Grey Shrike (formally Steppe Grey Shrike) was perched on top of one of the posts and this is the first sighting of this species this year for me. 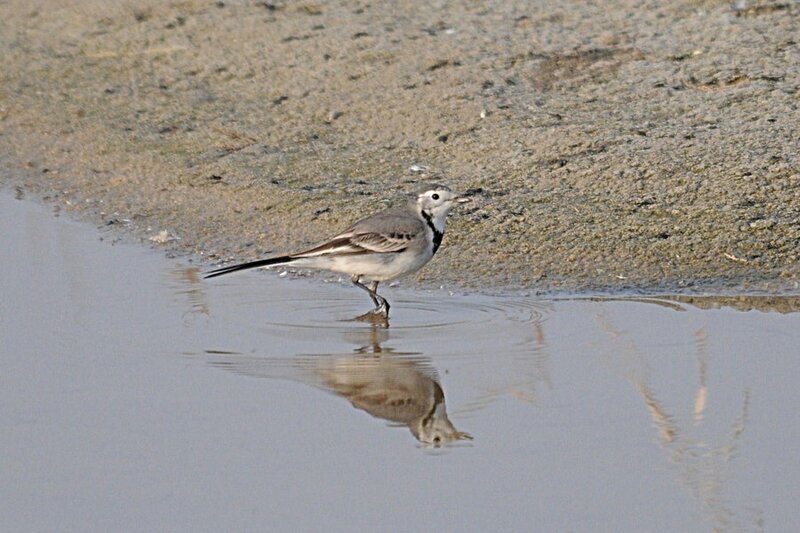 Numbers of both White Wagtail and Water Pipit are building up with one particular corner of the site very favourable for both species with more than 100 of each. 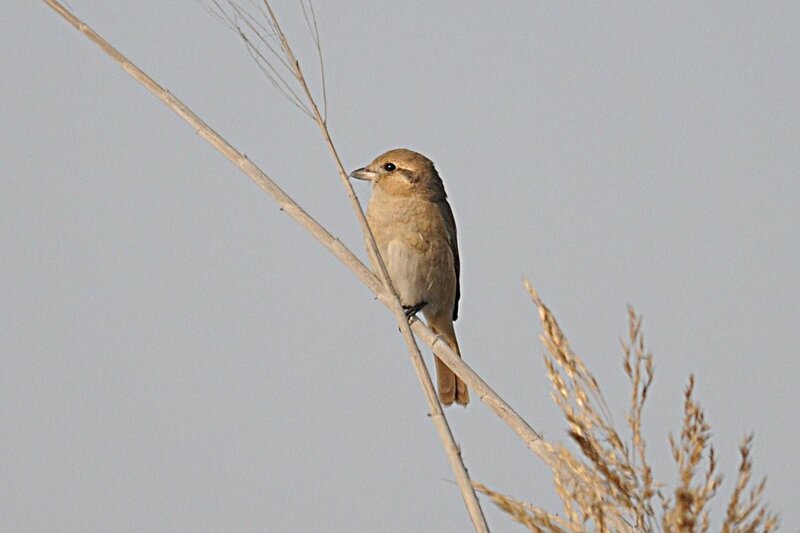 Driving further around we saw a nice Daurian Shrike hunting from a small stand of reeds and bushes. About 200 Great Cormorants, two Purple Swamphen and 22 Common Moorhen. A Caspian Tern was seen flying over and at least 15 Marsh Harriers were seen both in flight and perched in the scrubby areas at first light. Nine Little Grebes were on one lake and the main flooded Sabkhat area again held Common Shelduck but not the massive numbers of last weekend, although 48 were still present. Massive numbers of Greater Flamingo, with about three thousand birds as well as Pied Avocet with at least 500 birds made a fantastic sight. Duck are always in short supply at the site due to hunting but today I saw 28 Northern Shoveller. Eight Squacco Heron were perched on one small island with eight Western Great Egret, 22 Indian Reef Heron and 40 Little Egret. Waders were very few this weekend with only two Green Sandpiper seen on the edge of the Sabkhat. Some nice images there Jem, especially the Citrine Wag. You don't see them in that plumage very often. Steve.